Duel with Medieval Party Slimes! 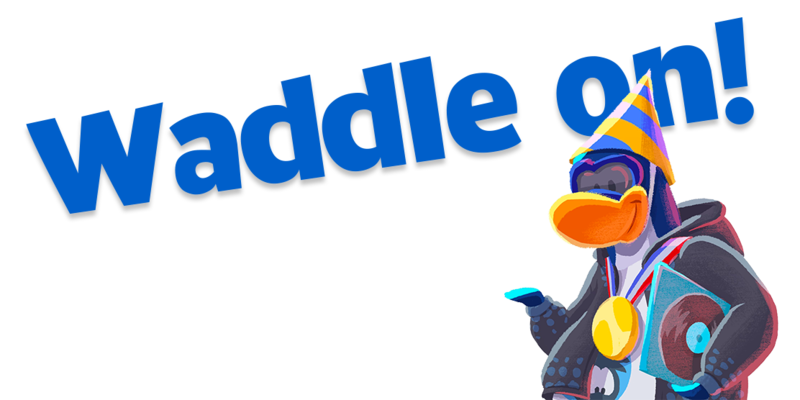 Calling all brave penguins in the kingdom of Club Penguin Island – we need YOU to help duel the slimes. 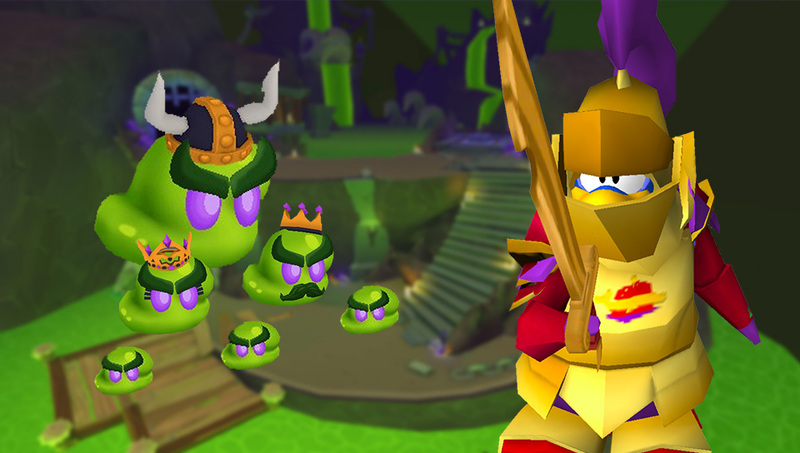 The Medieval Party arrives soon and brings a dungeon filled with slimes, adventures and even… SCORN THE DRAGON KING! Watch the Medieval Party trailer here! Taking on such a battle requires skill and practice, and so to help everyone train for what lies ahead I created a little mini-game! Inspired by the duels from the 2014 Pirate Party, you’ve got to face six different slimes choosing the right sword move each time. It works a bit like Rock, Paper, Scissors! There can be only one winner in each round, so pick your move carefully. Play the Slime Duel mini-game! I got 5 out of 6 slimes! Great way to get us prepared! Waddle on! 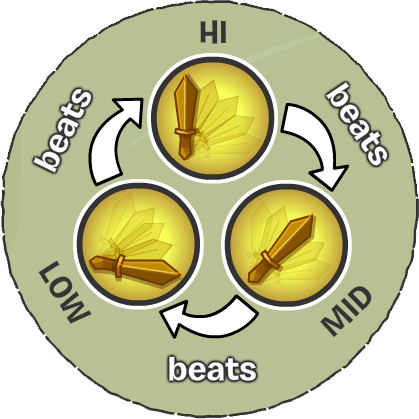 There will be a new sword and a new shield available for members. That was awesome! Unfortunately I only got 2 out of 6 slimes but I still had fun. This is a brilliant way of getting penguins prepared for the Medieval party!